Home > Reviews > Small Scale > IBG Models Cat no. 72015 CMP C15A Aust. Pattern Wireless/Signals. Stock Number and Description IBG Models Cat no. 72015 CMP C15A Aust. 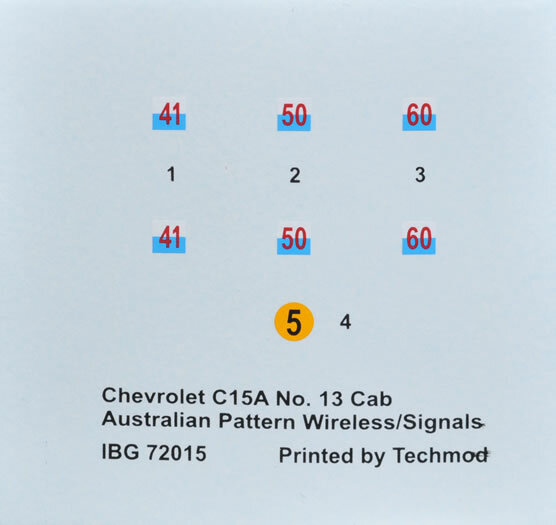 Pattern Wireless/Signals. Media and Contents: 107 mid grey plastic parts on three sprues, 1 piece of clear film with two windscreens marked on it, decals for 1 vehicle plus a three page fold-out instruction sheet with a parts plan, 13 build diagrams and 1 page of paint/decal instructions. A small history section is on the box side in 3 languages. Advantages: A long overdue subject in 4 variants, excellent moulding with no sink marks and almost no flash. Highly detailed including full engine and under chassis equipment. Disadvantages: No foot pedals in the cab and no interior for the radio body. Conclusion: Ron's Resin from Australia did a 1/72 scale CMP quite a few years ago but it had nowhere near the detail of this kit and cost considerably more. 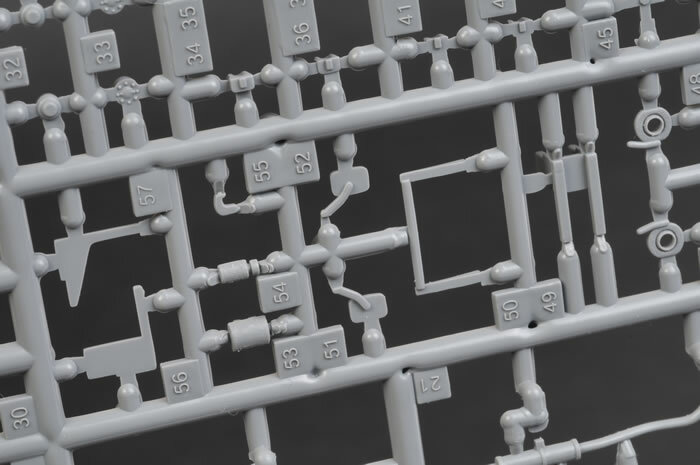 IBG (International Business Group) is a Polish company that distributes A-Model kits from the Ukraine world wide. A few years ago, they decided to get in to the hobby under their own name. They marketed a series of 1/72nd scale Bedford QLs in various guises which were very well received by the Braille Scale community. 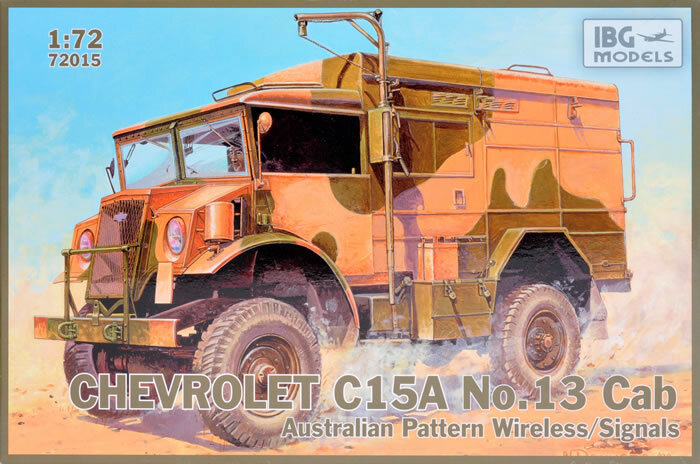 The subject of this review, the Chevrolet C15A with a No. 13 cab, is the follow-up set comprising about 4 or 5 vehicles in different forms such as a water tanker, troop carrier and general purpose vehicle. A third series has just been released, again a Chevrolet but with the No. 11 cab. The Chevrolet C15A was built in Canada by General Motors under the CMP (Canadian Military Pattern) program. It was also built by Ford of Canada as the F15A and both were known as CMPs, Blitz Buggys or Blitz Wagons. More than 200,000 were built during the war years. 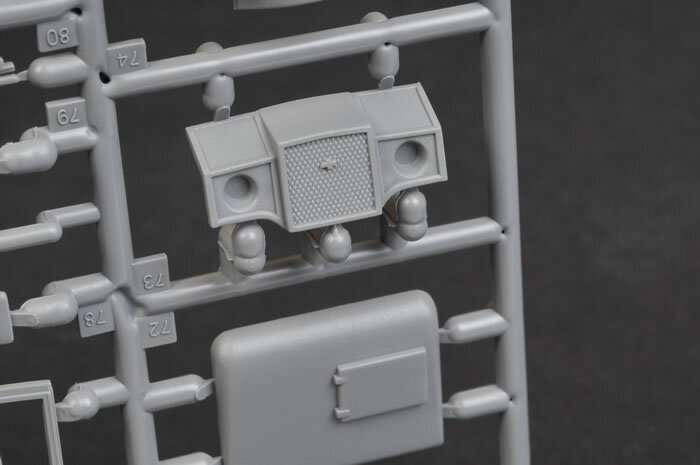 There are three sprues, a large and small attached together which carry all of the cab and chassis parts except for the cab roof. That is on the third sprue along with all of the radio compartment. 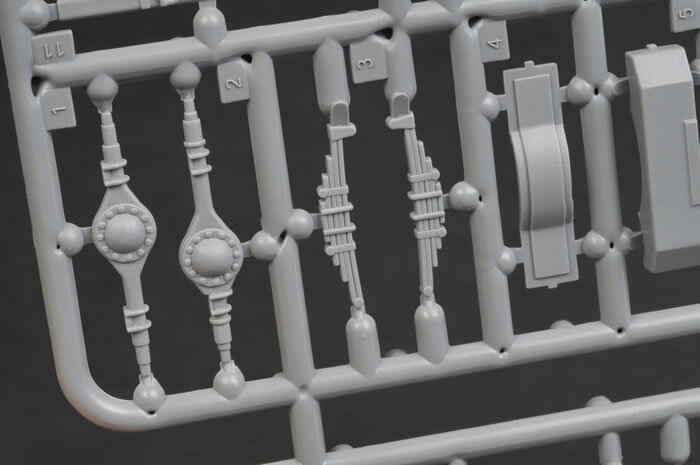 The third sprue is marked “S” as are all of the parts from it in the instructions. 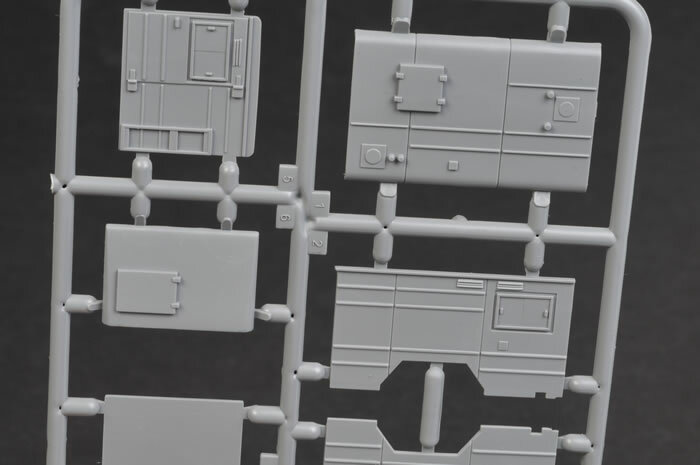 All three sprues are very crisply moulded with no sink marks or distortion and only a very tiny amount of flash. However, some parts are really small and care will need to be taken especially if any small parts need to be cleaned up. A few items are a little over scale such as grab handles, rear-view mirror mounts and gear levers which may be better unsubstituted with wire. All the doors and hatches are moulded closed which is a pity but it is also very common in 1/72nd scale kits although an enterprising modeller will not have much trouble opening them. Decals by Techmod look reasonable but there are only 7, three sets of unit markings (not identified) and a bridging plate. Instructions are of the computer generated kind which are not to my liking but I must admit, these are about the best I've seen with everything being reasonably clear. Only four colours are mentioned in the instructions and than only the codes for Gunze, Model Master Acrylics, Humbrol and Valleyo. No colour names are given and there are no colours called out for inside the cab. I assume that IBG is not doing its own moulding. Being Polish, I would guess either Mirage or RPM. 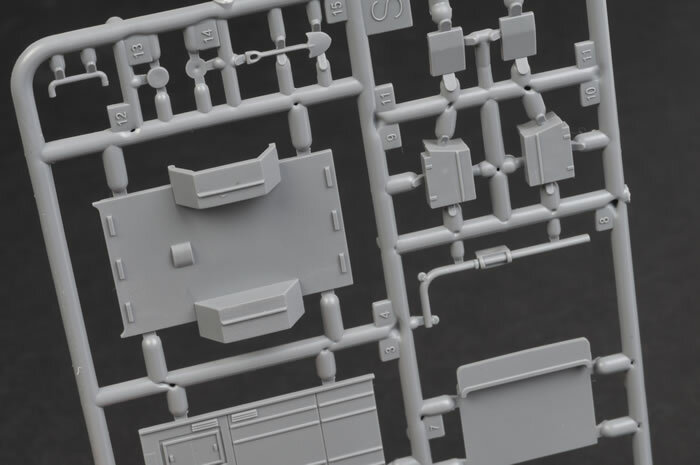 The level of detail, mould quality and the computer generated instructions make me lean towards Mirage although the sprues do look very similar to RPM's Staghound kit. It is good to see someone producing Allied soft skins as they are a rare commodity in Braille Scale but to have them done with such detail and mould quality is an added bonus.